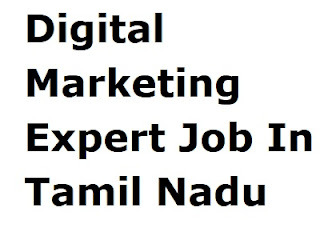 Today kingtamil.com team are going to publish latest digital marketing job in tamil nadu. Yakka Space want digital marketer for managing their online activities and brand growing. Nowadays digital marketing field is going very up like a rocket. According to me digital marketing is best field for your life because this field change your life. Yakka Space is landing Digital Marketing Company In Madurai for all types of SEO, SMM related services and Digital marketing too. In this article I am adding job details and additional company details too. End of the article I will tech you how to apply for this Digital Marketing Job. Yakka space is looking for a Content Writer to join our editorial team and enrich our websites with new blog posts, guides and marketing copy. Content Writer responsibilities inlude conducting thorough research on industry-related topics, generating new ideas for new content types and proofreading new articles before publication. If you’re good familiar with producing online content and have an eye for detail, we’d like to meet you soon. Feel free to share your samples of your work or portfolio of your already published articles, along with your this application. Ultimately, you will deliver quality writing pieces, that appeal to our all audiences, attract more customers and boost our brand awareness. 2) Experience doing research using multiple sources of work. 3) Write clear marketing copy to promote our products/services very easily. 4) Design content marketing strategies and set short-term goals for more sale. 5) Prepare well-structured drafts using Content Management Systems for our firm. 6) Undertake content marketing initiatives to achieve business targets and sales. 7) Proofread and edit blog posts before publication all content. Submit work to editors for input and all approval. 9) Coordinate with marketing team and design teams to illustrate articles for more sale. 10) Optimize content considering Search engine optimization and Google Analytics. 11) Conduct simple keyword research and use SEO guidelines to increase web traffic and sales too. 12) Analyze web traffic metrics by Google Analytic. 13) Share content through various channels, ensuring strong web presence Identify all customers’ needs and gaps in our content and recommend new topics to Promote content on all social media platform. 14) Ensure all-around consistency on content. 15) Update website content as needed of outdated. 16) Manage all digital marketing channels (e.g. website, blogs, emails and social media) to ensure brand consistency for more sale. 19) Measure ROI and KPIs and prepare budget for future. 20) Oversee our social media accounts and increase more followers. 21) Develop specific campaigns to create and maintain high levels of customer interaction for more engagements. 22) Forecast sales performance trends and act proactively to increase our market segment and revenue. 23) Motivate digital marketing team to achieve more and more goals. 24) Liaise with Product, Design and Sales directors to increase client satisfaction through cohesive with all latest strategies. 25) Monitor competition and provide ideas to stand out from market. 26) Stay up-to-date with digital technology developments and strategy. 2) Ability to meet deadlines. 3) Excellent writing and editing skills in English. 4) Strong understanding of how all current digital marketing channels function. 5) Demonstrable experience in designing and implementing successful digital marketing campaigns for better sale. 6) Solid knowledge of online marketing tools and best practices Familiarity with web design. 7) Hands on experience with SEO,SMM,SEM, Google Analytics and CRM software. 8) Excellent analytical and project management skills. 9) Hands-on experience with Content Management Systems. Here all job details are over, now I am give you company details. Here Company details are complete, now I am giving you my best 3 option for applying any job, that you want. 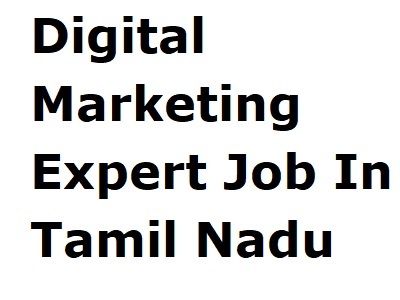 How To Apply For Digital Marketing Job? Here you have 3 option for apply any job. In this step you have to send your latest resume to Company mail id, Company check your resume. If they like your resume after then company employee will defiantly contact back to for interview. Here you have to call on Company number and ask for interview time and date. This Digital Marketing job is available on indeed, so you can apply on indeed, but indeed take lots of time for arrange interview time and day. According to me you should with second option. Note:- We take this job post from indeed but here we provide all additional information related to this job and also here we provide Company details and many other 3 option for apply this job.